The problems are arranged by subject and grouped into sets that gradually increase in difficulty. There is a 36 problem final quiz at the end of the book to assess your skill level. A separate answer book included. Children enrolled in chess courses given by Chess and Math can use this material for the Pawn level to the Bishop level. 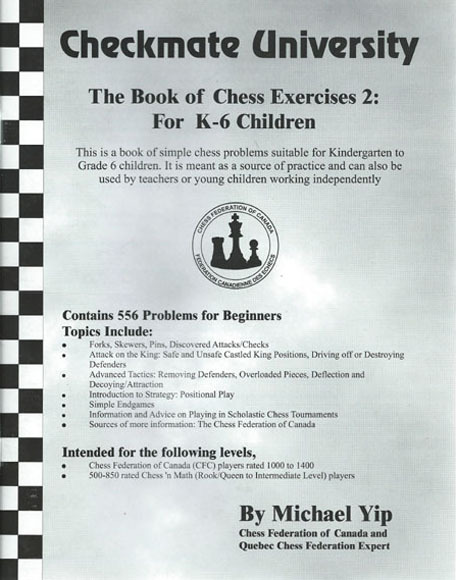 The author has sucessfully used this program for many years as an instructor for Chess and Math. Each student should have their own book so they work at their own speed.